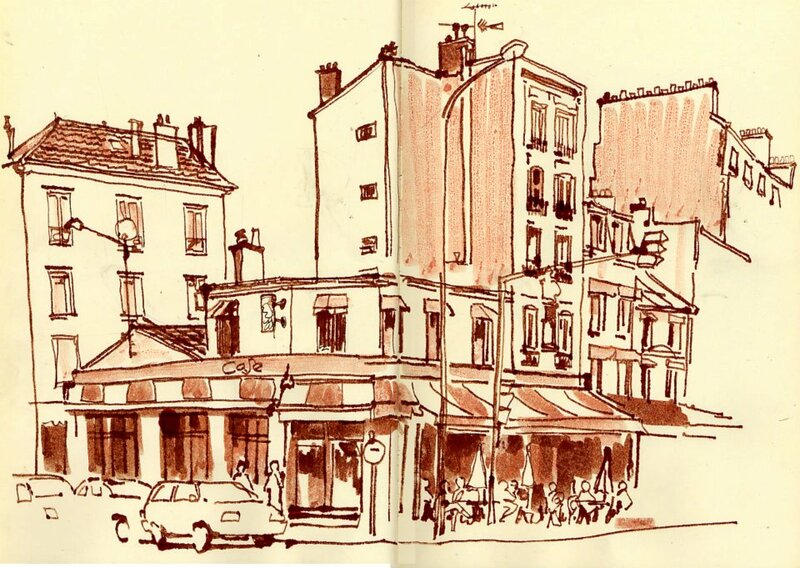 This is my favorite Paris sketch. Once again, Angie was at the nearby flea market. This is the result.